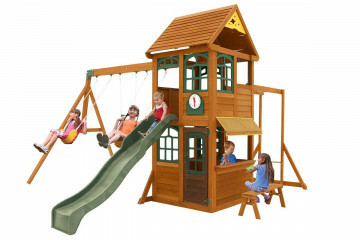 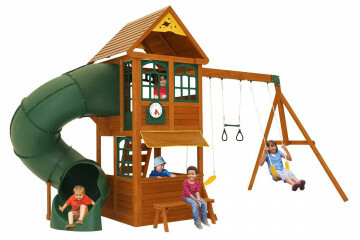 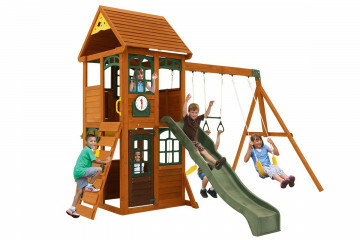 Swing and slide sets formally the preserve play grounds now find them in your back gardens. 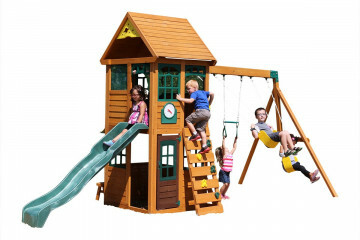 We call our swing and slide sets or climbing frames some of these are more suitable for older kids others for toddlers taking their first steps. 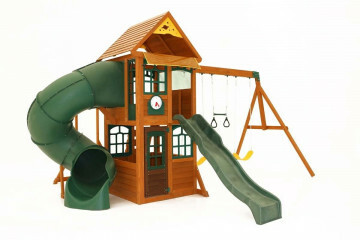 Cedar is our chosen wood for our sets, this is because its natural resins make insects run, while preventing rot simultaneously. 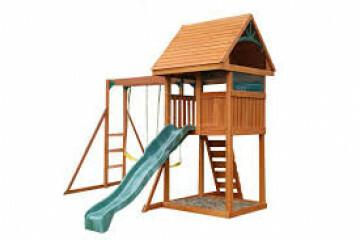 The structure of cedar gives it a high dimensional stability, this means it doesn't shrink and expand in changing weather conditions. 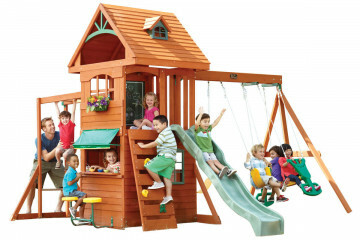 Perfect for many countries where we cant count on rain and sun throughout our summers. 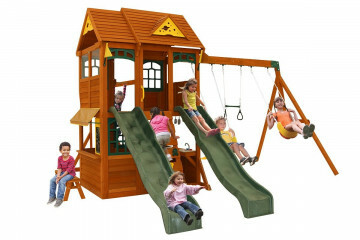 Essentially our climbing frames are a swing and slide sets, with added value having extras like rock walls and children's monkey bars which make up the climbing features. 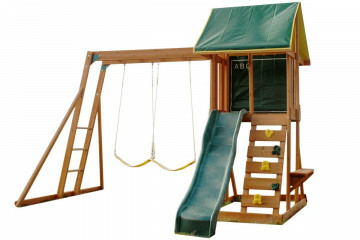 Making s garden set inclusive for all the family is simple, add a baby seat. 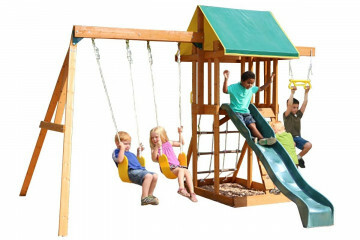 These keep infants upright so they have a sense swinging independently before they are ready to use belt swings. 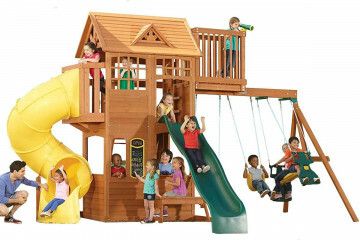 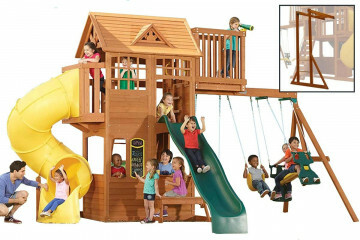 With swing sets suitable for the family these really will last through a full childhood or two if you've more than one child, they represent some on the best value for you can get for any play equipment indoors or out.